Roll up, roll up for the mystery tour. 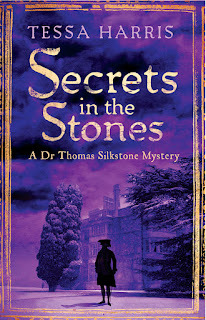 Today I am very pleased to welcome author Tessa Harris to the blog, taking us to her Top 5 favourite haunts that feature in her Dr Thomas Silkstone mystery series. I do love a good historical exploration around a city so I might have to go have a wonder around London soon! One of the best things about being an historical novelist has to be the research. You can lose yourself for hours amid the murder, mystery and mayhem of the past. 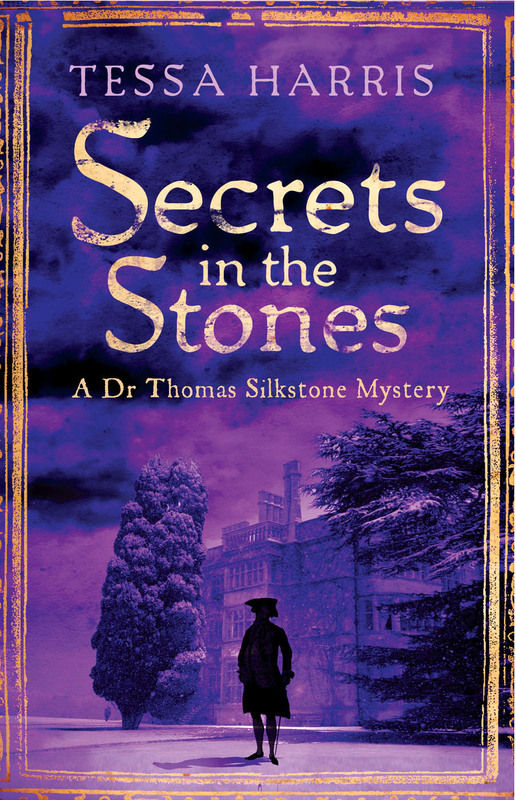 So if, like me, you love a gruesome tale from days of yore, here are some hidden gems I’ve discovered while researching my series that features an American anatomist in 18th century England. Don’t go here alone. You could easily lose yourself in the labyrinthine passages that wind deep into the Chiltern Hills. The caves date back to the mid-18th century when they were dug out by men in the pay of the notorious Sir Francis Dashwood. Journey through the Banqueting Hall and past various chambers until you reach the final destination of the Inner Temple. 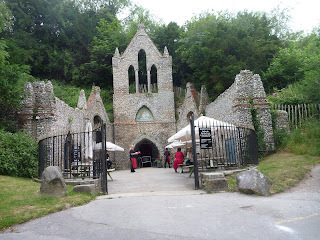 Reached by crossing the River Styx, this is where members of the infamous Hell-Fire Club used to hold its riotous meetings, several hundred feet below the church on top of the hill. Oh and watch out for the many ghosts that are supposed to inhabit the system. You have been warned! Just a stone’s throw away from a busy London market and up a winding staircase, you’ll reach a temple to medical macabre. Rediscovered by chance in 1957, it’s an attic in the eaves of St Thomas’s Church in Southwark. 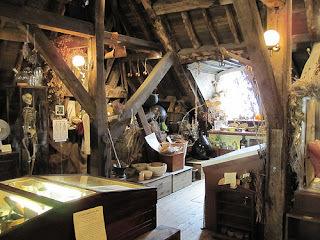 The space is where the apothecary used to store his herbs and medicaments and a pungent smell still lingers in the air. There are terrifying instruments, too, that look more suited to torture than healing, and in the adjacent operating theatre students would cram the room to watch surgeons perform their art on patients without the help of anaesthetics. This isn’t just the world’s only remaining house of the great American polymath – although that is, of course, remarkable in itself, but what really gets the goose-bumps going for me is the basement. During restoration of the house, in 1998, archaeologists came across a one metre deep pit containing over 1200 pieces of bone. These were the remnants of an anatomy school run from the House by William Hewson, son-in-law of Franklin’s landlady, Margaret Stevenson. Ironically Hewson died when he nicked himself with a scalpel and contracted septicemia. On the surface, there’s nothing to tell you that you are standing on the site of what remains of one of the most notorious prisons in history when you step into The Viaduct. It’s the last surviving Victorian gin palace in London and lies opposite the Old Bailey, where Newgate Prison once stood. The beer cellars are former cells of the prison. Ask the staff nicely and they’ll take you to the beer cellars which were, in fact, the cells where many a hapless prisoner dwelt (and died) in abject misery. The cells are still dark, dank and wretched and one of them is very popular with ghost hunters. published by Little Brown, is out now, price £8.99. nice tips ! thx !!!!!!!!!!!!!! !